For some, band camp has concluded and the school year is underway; for others, camp is in full swing, complete with marching and maneuvering basics, sectional rehearsals, and color guard catches. The tail end of summer is an intense time for marching ensembles, a time that sometimes finds parents and new marching students a bit surprised by the level of commitment asked of them. There are compelling reasons, however, to put aside other activities until November (or so) and make room for the full-time commitment marching band requires. On December 14th, Middle Earth fans got the chance to take in the next installment of Peter Jackson’s imagining of the works of J.R.R. Tolkien. Midnight marked the release of the first of his three films telling the story of The Hobbit. In Part I, we explored the undeniable tie between a student leader’s attitude of service and the ensemble’s willingness to follow a leader who exhibits this indispensible trait. While foundational, attitude only goes so far, however. The desire to serve must also be backed up by true ability in the core competencies of musical and marching skills. With marching band season gearing up once again, directors find themselves looking to their flock of students in search of that indispensible percentage that will prove themselves leaders. On July 23, 2012, J.W. 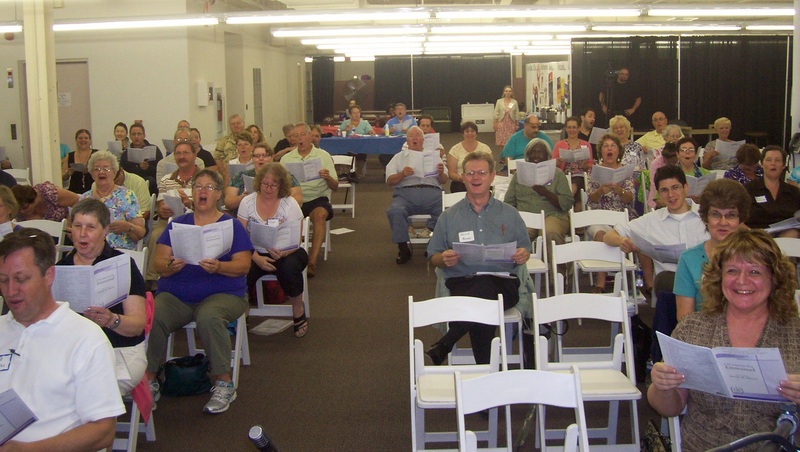 Pepper hosted Summer Sing, a choral music reading session in the company’s corporate headquarters in Pennsylvania. While reading sessions are a standard practice for Pepper, inviting musicians into the corporate location for such an event was a first, and as the hundred-plus attendees of the sessions will attest, a great success.